Embarking towards rest. Every weekend families living in the city and its surroundings will search rest. 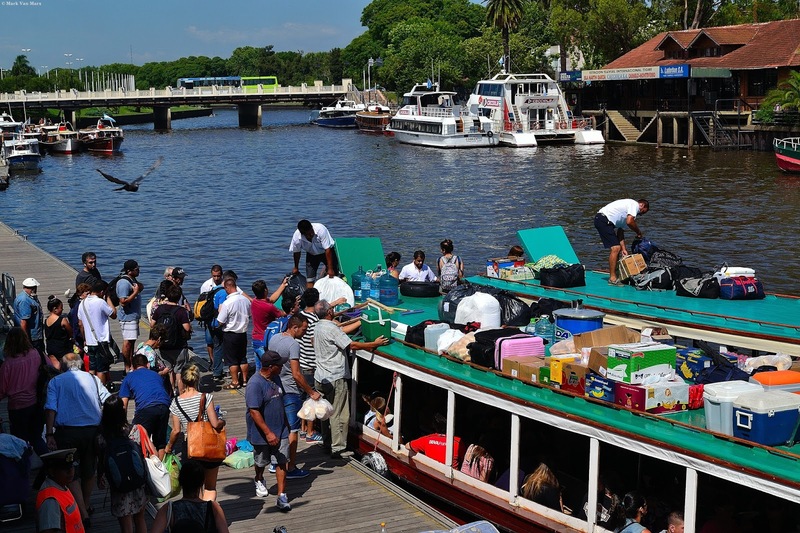 One of the most chosen sites are the Delta del Tigre for its tranquility and low economic cost. This is the port where there are several boats that cross different islands. Several lives intersect here. People coming and going. People who have in common that Sunday afternoon are going to vover crowded in these boats towards their weekly routine. Tigre. Buenos Aires province. Argentina.